To shield your Thornton, Colorado home or business from the harsh weather that can occur here seasonally, you will need the best siding materials on the market, designed to hold up against the incredibly diverse climate of our state. With Scottish Home Improvements as your Thornton siding replacement experts, you can learn about the variety of different siding materials available to enhance the visual and protective features of your property, providing you with long-term value . We’ll show you firsthand why we’ve been the popular choice in the Thornton siding industry for a number of years. There are many reasons you should consider fiber cement James Hardie® siding for your Thornton home. First off, James Hardie siding can withstand the worst weather that Colorado has to offer. This durable siding material requires little maintenance and stays beautiful year after year. Even through all of the unpredictable weather changes in our great state, you won’t have to worry about fiber cement James Hardie siding, which helps Thornton homes resist cracking, warping, and rotting. And to top it off, James Hardie siding comes with an outstanding warranty, so you can experience added comfort and protection for your investment. 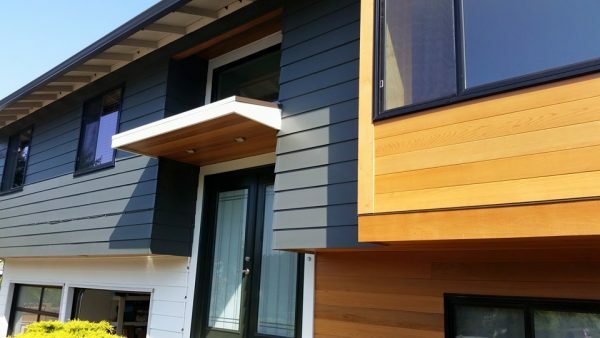 The options for colors and styles with this protective fiber cement siding are endless. With thousands of combinations available, we can either match your current exterior design, or create a new look for your home. In any case, our experienced team will help you every step of the way, from design to installation, to ensure that our James Hardie siding gives your Thornton property a great looking end result. Scottish Home Improvements offers more than just fiber cement siding options for Thornton residential and commercial spaces, however. Below, we’ve gone into detail about a few of the many options that we can offer for your next siding project. Scottish Home Improvements carries an abundant selection of wood and cedar siding options for Thornton homeowners to choose from. We have natural vertical and horizontal cedar planks, fiber cement siding that looks like wood, and engineered wood siding from LP SmartSide. Additionally, if you have wood siding on your home, we can help you there as well. There is no need to get rid of your natural wood or stone accents. In fact, let Scottish Home Improvements show you how a sealant for that cedar siding could help the wood to remain beautiful and last many years longer than you expected. Steel siding options give Thornton home and business owners extra protection for their money. This affordable option will certainly hold up under the worst weather in the area; the intense sunlight and punishing precipitation of Thornton’s seasons will be no match for your new steel siding. With steel siding from Scottish, you can rest easy knowing that your home or business is protected from the elements. 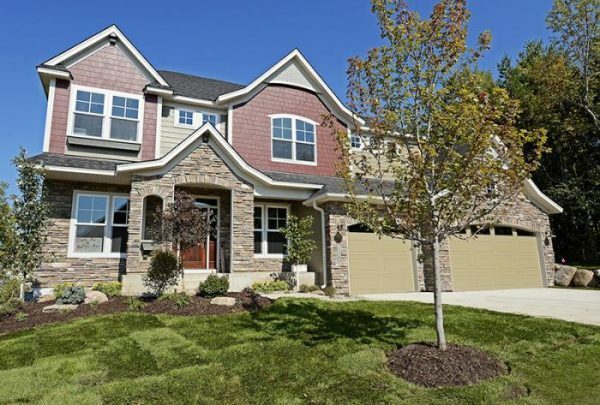 For a truly unique look, opt for stone siding or stone accents for your Thornton home. Stone siding creates an upscale look and is perfect for homes fashioned in the bay and gable style, bungalow homes, and new American style architecture alike. Our team of expert designers will help you fashion the perfect look for your home using stone accents and trim. For a low maintenance option that’s also affordable, opt for Alside Vinyl Siding. Alside Vinyl Siding is manufactured using high grade materials and looks just like natural wood. With Alside Vinyl Siding, you’ll have loads of color options and styles to choose from so you can experience total freedom while residing your exterior. Whether you’re working with a commercial or residential property, our customers sometimes find that either the size of their budget or their aesthetic preferences call for augmenting their home or business’ current siding rather than undergoing a complete overhaul. In these cases, Scottish Home Improvements is happy to provide our amazing siding repair services for Thornton residents and their spaces. Using our impressive array of siding colors and materials, we can work closely with you to match the current siding on your property, achieving a cohesive look that seamlessly blends our siding repair with your Thornton property’s present appearance through expert craftsmanship. Scottish Home Improvements is the premier siding contractor for all of Colorado. You can count on our team of Thornton siding replacement experts to deliver a great product every time. Our showroom is located nearby in Centennial, and we’re open for visitors 6 days a week, so give us a call to set up an appointment. If you have any questions about adding new siding to your home, or if you would like to set up an on-site consultation to evaluate your siding needs for no cost to you, feel free to call us or email us anytime!